If you are searching for Fungal Meningitis Attorneys look no further as the law firm of Benson & Bingham is taking an active role in the pursuit of litigation against the culprit, the New England Compounding Center (NECC), a drug maker located in Framingham, Massachusetts. So far, patients in 23 states could be at risk, including Nevada. Michigan, Minnesota, Tennessee, Virginia, Florida, Maryland, North Carolina and Indiana are also states that have reports cases and many have died. The inject-able steroid medication was shipped to the following states: California, Connecticut, Florida, Georgia, Idaho, Illinois, Indiana, Maryland, Michigan, Minnesota, North Carolina, New Hampshire, New Jersey, Nevada, New York, Ohio, Pennsylvania, Rhode Island, South Carolina, Tennessee, Virginia, Texas, and West Virginia. A total of 17,676 vials of the drug were shipped per ABC news. In our line practice, many of our clients are prone to having spinal injections or steroid injections and are at risk of a fungal meningitis infection. Back pain sufferers utilize such injections for pain relief from disc herniation and other back ailments that may be putting pressure on nerves. The goal of the injections is relieve the inflammation on those nerves. Many persons may been in the process of having another personal injury action going and needed steroid epidural injections as part of their back treatment for the trauma caused by the car accident. 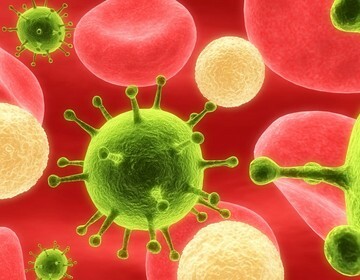 Now, an additional issue is presented given the new possible case created by the infection. Under most American tort law, the initial tortfeaser (or at fault person, in this example a car accident) would also be liable for the resulting fungal meningitis infection and resulting care. Another lawsuit could also be filed against the manufacturer for a defective product also known as a mis-manufactured product as it was tainted with fungus before leaving the facility that manufactured it. Call the fungal meningitis lawyers at Benson & Bingham for a free telephonic consultation regarding your rights as a victim and what you should do. 702-382-9797 or toll free at 800-381-3LAW (3529).